This week’s Surname Saturday theme is the surname of DEWSBURY from the villages of Soham, Barway, Wilburton, Stretham and Little Thetford in Cambridgeshire. This week’s Surname Saturday blogging theme focuses on my ancestors with the Dewsbury surname. 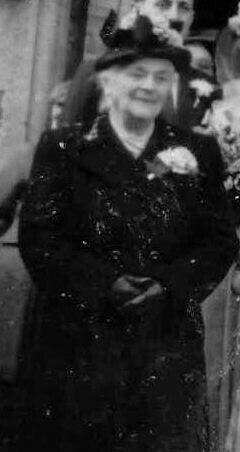 The most recent ancestor in my tree to carry the Dewsbury name was my Great Great Grandmother – Elizabeth Dewsbury, who was born in Stretham in 1851 to William Dewsbury and his wife Rebecca (née Lythell). Sadly, I have no photographs of a Dewsbury, or any of my direct Dewsbury ancestors, which has probably made this branch one that has seen me pick up the research, and put it down, time and time again. Whilst Elizabeth married into the Barber family in 1871, ending the run of the name in my ancestry, her siblings and her father’s family continued to live and work in the surrounding villages – in particular those of Wilburton, the hamlet of Barway, Soham, and also with some staying in Stretham. Heading backwards four generations, to Elizabeth’s Great Great Grandparents (and my 7x Great Grandparents), you find John Dowsborough and his wife Edith (née Langford). They married on 3rd October 1749 in Soham, Cambridgeshire. They had at least nine children. 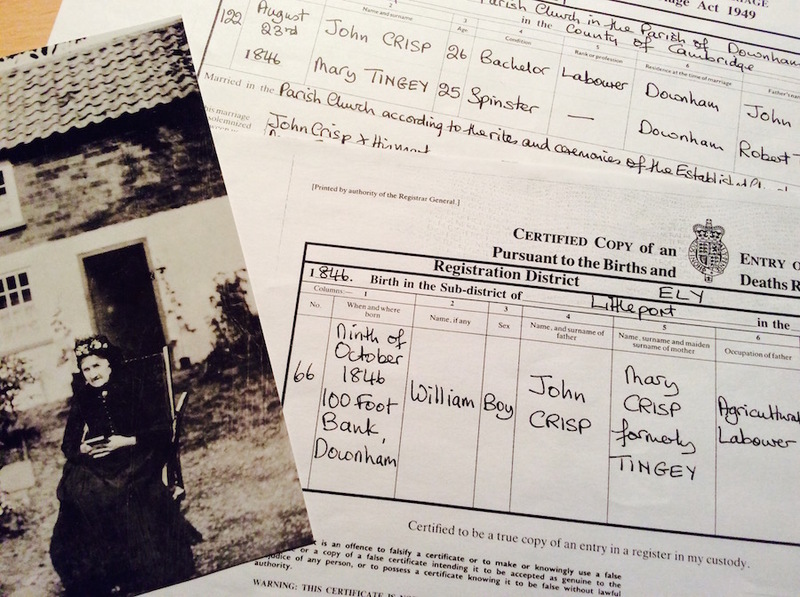 The last being born in about 1768, a year before what appears to be John’s burial at Ely Holy Trinity (where is he noted as ‘from Half Acre in Soham‘). The earliest of their children that I have found, was my 6x Great Grandfather, William Dewsbury, who was born in about 1753. By 1769, at just 16yrs old, he walked down the aisle of Soham parish church with Elizabeth Cook, who was undoubtedly already pregnant with the couple’s first (of ten) children. Sadly, this first child, a girl called Elizabeth, didn’t survive long – having been baptised on 9th and buried on 13th of November of that same year. Their next child, born in about 1770, was my 5x Great Grandfather, Edward Dewsbury, who is noted as a ‘farmer‘ in 1814. He lived until June 1836, when he died in the village of Wilburton. Edward married Sarah (her surname, and their marriage still remains aloof), and the couple appear ten times in baptism registers between 1795 and 1816. They had nine daughters and one son – the latter being my 4x Great Grandfather, another William Dewsbury, born in about 1811, and the father of Elizabeth, my final Dewsbury ancestor. There are many Dewsbury name bearers in these villages around Ely, making it complicated to break them into small family groups, so I’ve been looking at other Dewsbury name-bearers in the villages to see if I can group those together and therefore help to eliminate or assign the many name duplicates to those other branches. It’s a great way to thin out the records. This Will from 1756, gives a small clue to a family group of Edward, his wife Elizabeth, his married daughter Mary, and his son John. This 1756 Will from an Edward Dewsbury, names his wife as Elizabeth, a daughter Mary, and a son named John. I’ll now know that this group belongs together, but I am going to put them aside for the short-term because they aren’t the ancestral branch that I’m looking for. In addition, a Dewsbury family also marries into my Yarrow branch at Little Thetford, Cambridgeshire. Whilst I’m yet to connect them, I am expecting them to appear somehow, given that the village in which they live, is a hamlet of Stretham, just a few miles apart. The first appearance of Dewsbury (any spelling) in Little Thetford, is the baptism of John Dewsbery, son of Edward and Elizabeth, on 9th January 1725. Perhaps this is the family group mentioned in the Will?